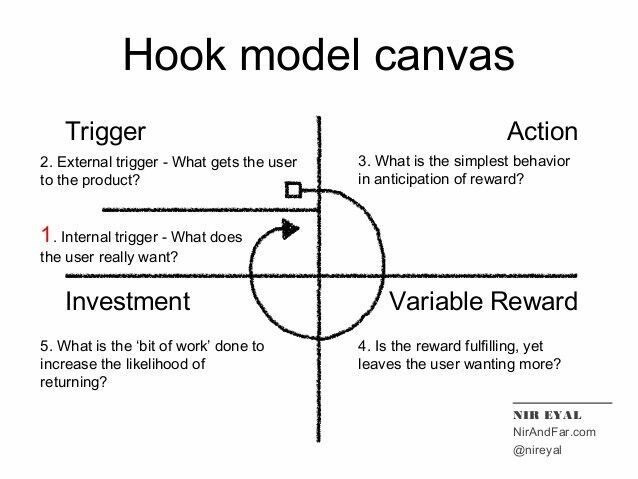 This article is based on Nir Eyal’s book called Hooked which is about building habit-forming products. He categorizes products as two types, vitamins and pain killers. Vitamins are to prevent a medical condition while painkillers are pain alleviators when the medical condition persists. People can do without vitamins but painkillers are something that people can’t do without. Painkillers have the potential to become a habit as slowly it morphs into a pain alleviating product from a pleasure seeking product. In this scenario, a medical condition coupled with the painkiller over a time period becomes a habit. 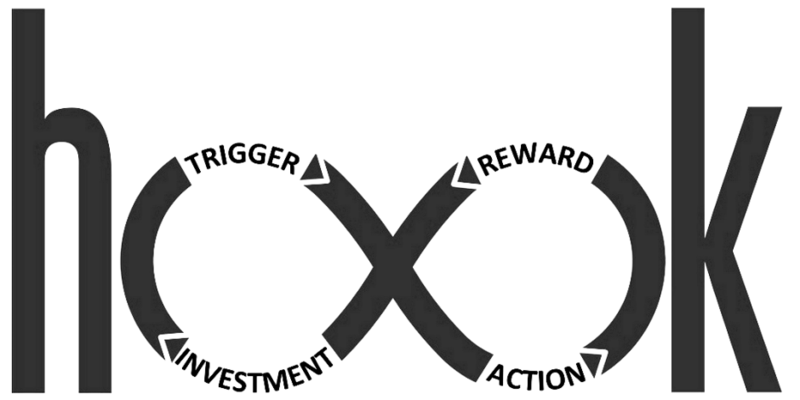 In this article, I have attempted to recognize the four phases of the hook model in applications that I use on a daily basis. Reward: The single and double tick acknowledgment that the text has been received or read. Investment: A reply to a text message. This keeps the conversation going, causing it to be a habit-forming product. External: Initially they hosted controversial articles and integrated with Twitter to gain traction. Internal: To read, write and share articles about topics that interest the user with the community. Action: Users read and write articles. Reward: Users receive claps from the reader as a form of appreciation. Investment: The rewards encourages the users to write and post more as they get the feeling that people read what they write and their ideas are being validated and accepted. Investment: The user shows interest in other purchases. Thus making this a habit-forming product. Internal: The need to be easily connected with work peers and people who can help your career growth. Action: Connect with peers and share posts. Reward: Ability to grow your network and keep up with their professional change. Investment: Creating a small network has a multiplying effect. The user gets more invested in the service. External: Notifications, Share to facebook prompts across the web. External: Notifications, Pictures with pretty filters on Facebook and twitter posed as external triggers and linked back to the service. This made users download the app and sign-up. Action: Clicked a picture, applied a filter and posted it. Reward: Likes and comments, social acceptance. Investment: Rewards act as internal triggers and makes the users post again. This is an investment back to the service. Internal: Fear of loosing the moment, Quick honest conversations. Action: Open the app, click a picture or shoot a bite sized video and send. Reward: Excitement of anticipation , creative because of its endless possibilities of editing the picture, You can expect honest replies because the image goes away in seconds. Investment: Prompts like ‘Double tap to reply’ acts as investment because they are external triggers for the next action. Thereby making it a habit forming product. External: Notifications, prompts in other social media. Reward: Other users re-pin their which is a social reward. Everything listed above are from my observations. If you find any discrepancies please do let me know, it will be very helpful.